← Go Wildlife Spotting With The ARC Explorer App! At last residents in West Sussex, as of 1st April 2015, will be able to recycle more plastics in their household recycling bins. Prior to this date we were only able to recycle plastic bottles. You might ask why we have only been able to recycle plastic bottles historically? Well until now there has not been a commercially viable market to sell the plastic waste resources to. In the UK householders use about 1.5 million tonnes of plastic packaging every year. 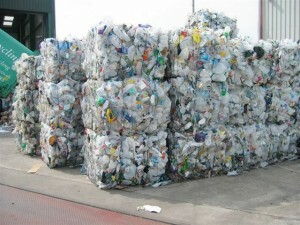 It takes a quarter of the energy to make plastic from recycled plastic as it does out of raw materials. So making plastic out of recycled waste resources saves precious natural materials and cuts down on the amount of carbon dioxide released in the manufacturing process. Plastic container lids of coffee jar lid size or larger (*see below for more details). *Plastic bottle tops which are smaller than a coffee jar lid, will not be accepted, this is due to machinery at Material Recycling Facility at Ford not being able to handle small items such as bottle tops, it clogs the equipment. You might ask, why can’t I recycle other plastic items like plant pots, furniture and toys? After your recycling has been sorted at the WSCC Materials Recycling Facility (MRF) at Ford, the materials are delivered to manufacturers to be recycled into new goods. End-user markets for other types of plastics are limited and whilst the market situation may slowly be changing and a few plastic sorters are accepting other types of plastic, most reprocessors are still only able to recycle plastic bottles and containers. Learn more about plastic recycling here. In West Sussex we want to be sure there are secure end-use markets available for the plastics we collect, preferably in the UK, and that we can be certain they will be recycled. So for now our message is simple, we only collect plastic bottles and containers. In partnership with Viridor who manage the MRF, we continue to keep the markets for all recycling under review. Many people ask…..should I remove my plastic bottle top before putting the bottle in my recycling bin? Yes. Please remove the tops before putting your plastic bottle in the recycling bin. If tops are left on the bottle, this can cause problems when the MRF sorts and separates your recycling. Plastic bottle tops should be placed in your rubbish bin; we CANNOT recycle plastic tops as they are too small for the MRF to sort mechanically. We are asked all the time……why can’t I put plastic bags in my recycling bin? The only plastic you can put in your recycling bin is plastic bottles and containers. Plastic bags CANNOT be recycled at the MRF due to the automated sorting machinery. The best solution is to not use plastic bags for shopping and instead use reusable fabric bags, or ‘bags for life’. Some supermarkets have recycling points for plastic bags. 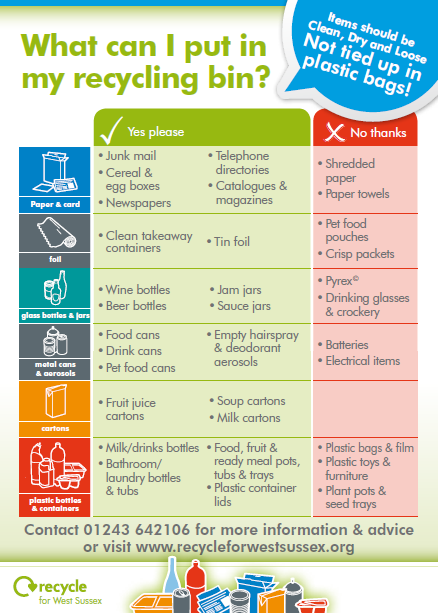 You need to put your recycling in your household recycling bin, clean, dry and loose. Do not put your recycling in plastic bags before putting them in your recycling bin. The MRF is unable to tear open plastic bags. You may have noticed numbers on plastic items; we are often asked does this mean they can be recycled? No. These numbers, or sometimes letter abbreviations, will just tell you what type of plastic the item is made from. Unfortunately they do not serve as reliable indicators to show if the plastic item can be recycled or not. The last regularly asked question is….. Can I put my bleach bottles in my recycling bin? Yes. Please rinse these out first and try to get them as empty as possible. Remember: The better the quality of the materials collected for recycling (clean, dry, loose and correct items), then the better value for money the service provides. 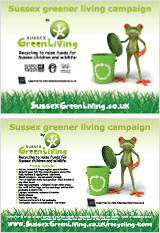 This entry was posted in Green stats, facts & news, Recycling facts. Bookmark the permalink.